These glamorous identical twin sisters who were bullied throughout school have gone on to become beauty queens after blossoming from ‘ugly ducklings’ into stunning swans. Blonde beauties Lucy and Emily Thomas, both 18, suffered years of cruel taunts from school bullies about their weight and matching outfits, which destroyed their confidence. After hearing about pageants and how they could help boost their self-esteem, the twins encouraged each other to enter and they both won their first competitions. 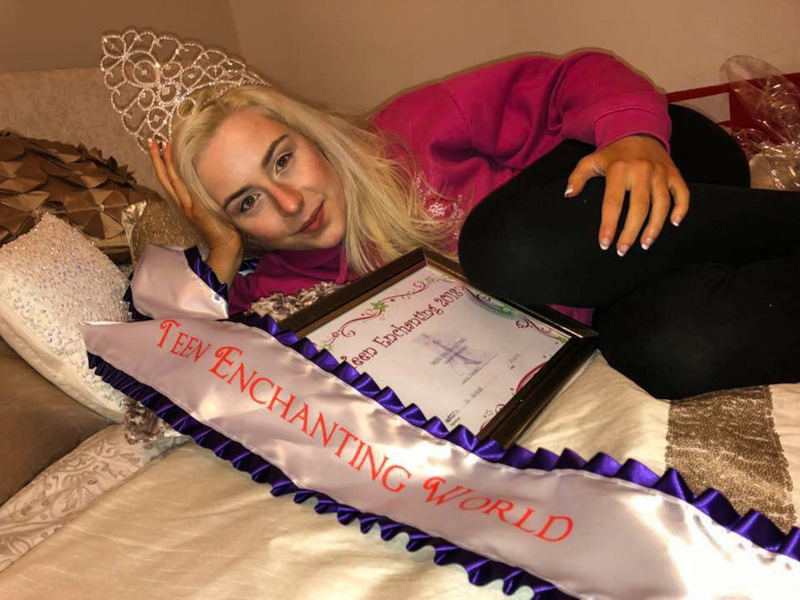 Emily was crowned Miss Teen Divine in 2017 and Lucy was crowned Miss Enchanting World in 2018 – triumphs they say they never could have achieved without each other’s love and support. 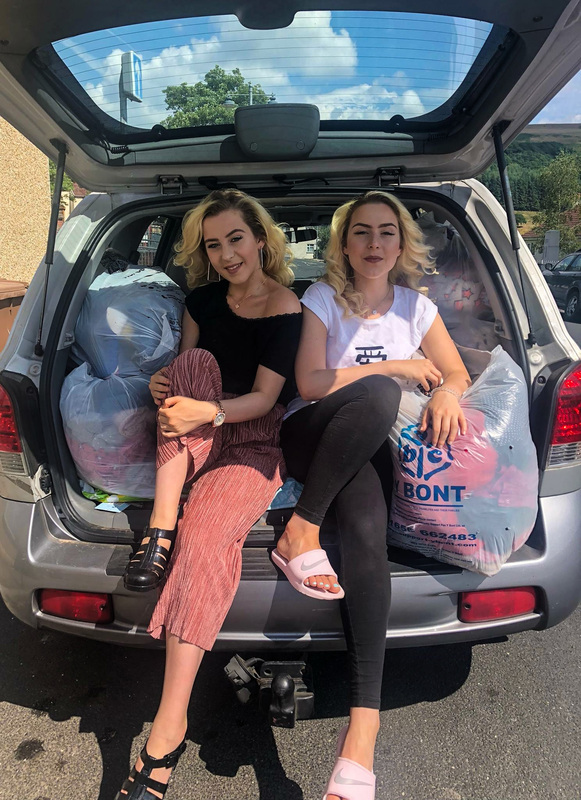 Now the gorgeous girls, who both study performance arts at Redhouse College in Merthyr Tydfil, Wales, are setting their sights on the Miss Galaxy pageants – but vow never to go head-to-head for the same crown. 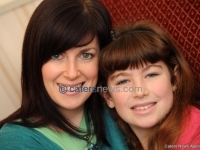 Emily from Abertysswg, Caerphilly, said: “When we were younger we were always bullied. 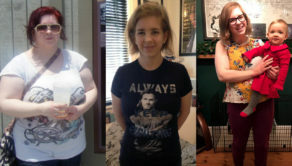 “We were overweight and when we went through puberty it was hard. It was like our ugly duckling phase. 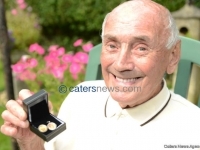 “It made us both very unconfident and we suffered from anxiety. We had really low self-esteem and body image issues. It was horrible but no matter what we always had each other. “Then when we were 15 we started to hear about pageants and how they promote body positivity and acceptance and how much money they raise for charities. 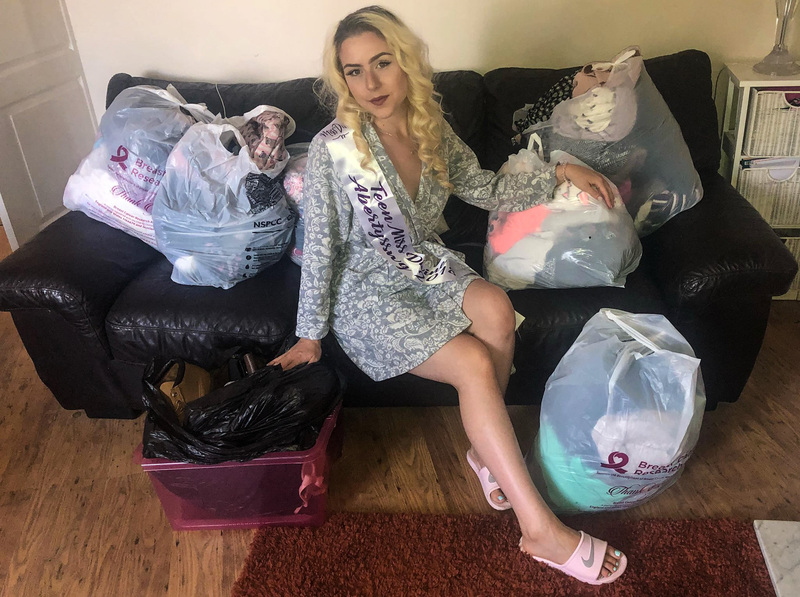 “We decided that if we could do pageants it would be the best way to show people who are struggling with body image issues that they should love and celebrate themselves. “Lucy told me I should do the first pageant. We found out about Miss Divine and it sounded perfect, it stood for everything we believed in. 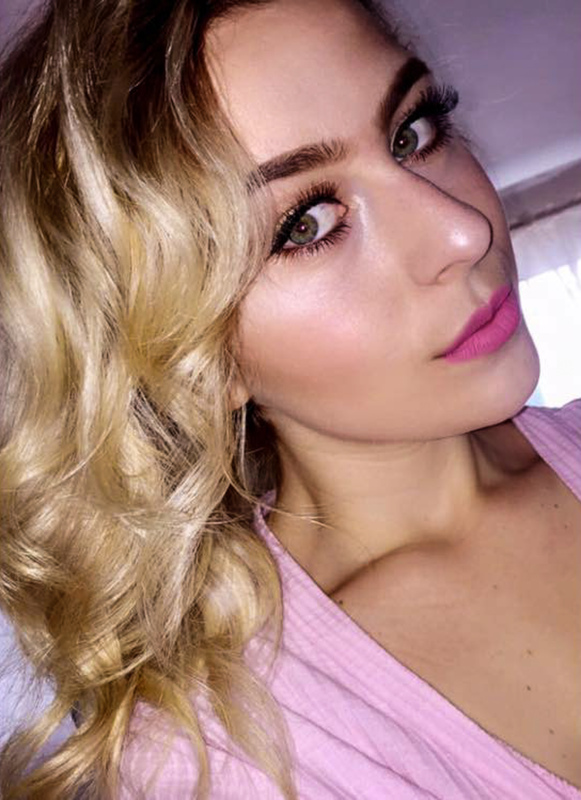 “Doing the pageant was amazing, it has really helped boost my confidence. All the people are like a big family, there’s a real community. “I couldn’t believe it when I won, I was so shocked. Lucy came running up on stage to hug me. “It was the nicest feeling and made me believe in myself so much more than I ever had done before. “It didn’t really feel like I won the crown, it felt like we won the crown because Lucy helped and supported me so much every step of the way. I couldn’t have done it without her. 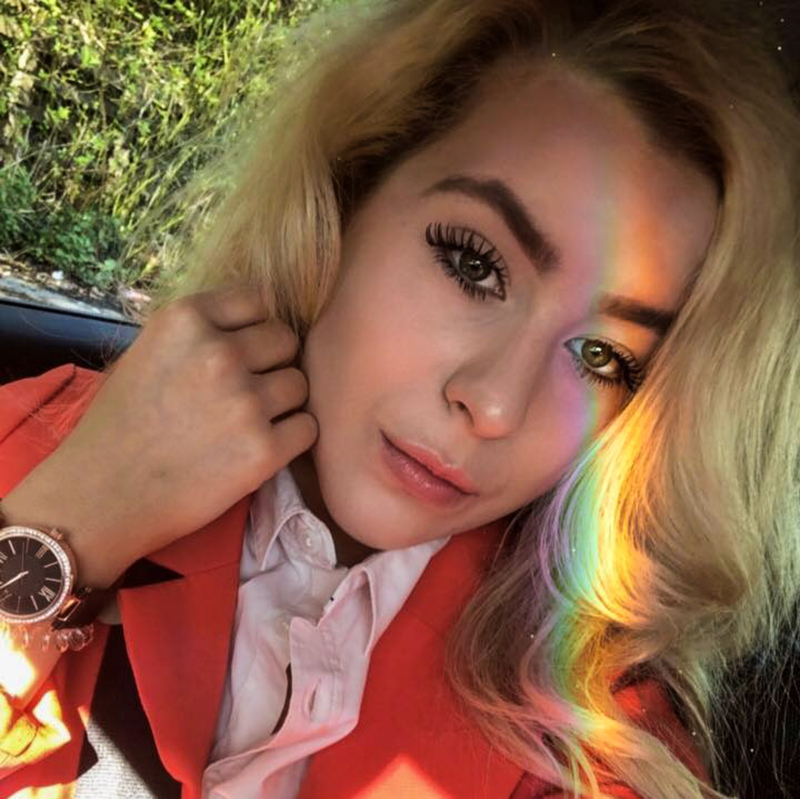 “I think us both doing performing arts has helped as well. I love it so much and it’s helped me be able to compose myself and prepare before going on stage. The sisters don’t just give each other emotional support, but also practise their pageant walks together and help with each other’s hair and makeup. Lucy said: “When I won Miss Enchanting World I was so happy. I just couldn’t believe it, it was crazy. “Just like Emily, I feel like whenever one of us wins we’ve both won. We help each other with everything. “We both did our training on how to walk for all of the different rounds together. We do each other’s hair and makeup and nails. “Thanks to that love and support we’ve both won our first pageants. It’s amazing, I feel so lucky to have a twin. “Without her I never would have dreamed of doing a pageant. I was so shy and I had no confidence after so many years of hearing people say awful things in school. “But since doing the pageant I have so much more confidence and I feel like people see me in a different light. “I want other people to know how much pageants could help them. I want other people who are struggling to be able to feel as happy as I do now. “I would love to compete in the Miss Galaxy pageants. We both would but I think we’re going to wait until we’re a bit older. The beauty queens don’t just share a passion for pageants but do absolutely everything together. 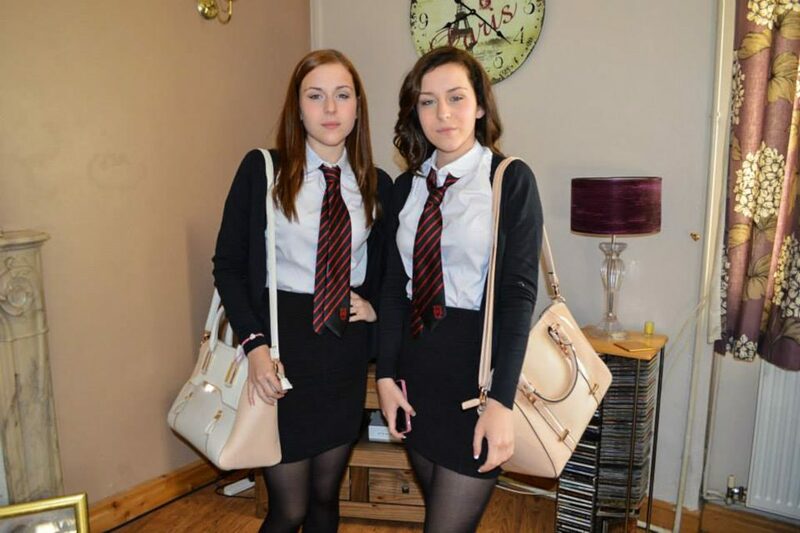 Lucy and Emily study the same subject at the same college after getting identical GCSE results. The girls share the same group of friends, the same fashion sense and hate being apart. Emily said: “Lucy and I have always been so close. When I’m not with her for too long I feel like I get separation anxiety. She’s the other half of me. “It’s not just pageants we do together, it’s everything. When I’m upset or need to talk she’s the first person I go to. “Around Christmas time our parents will take us out shopping to choose what we want. Lucy will go off with my dad and I’ll go off with my mum or vice versa and we still end up choosing all the same things. “There have been so many times we’ve got ready separately for nights out and we end up wearing the same outfit or the same outfit in different colours. “We even got exactly the same GCSE results. We couldn’t stop screaming when we opened them and we realised they were the same. “I think the funniest moment we ever had was when we were in school in biology and we were watching a video about a woman breaking her arm. 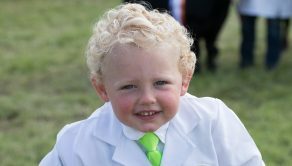 “At the exact same moment we both ran up to our teacher, both shouted ‘I’m not feeling very well’ and then both fainted on him at exactly the same time. Lucy added: “Obviously Emily and I argue sometimes like any siblings but the next minute we’re back to being best friends. “Every single thing we do, we’re in it together. We’re so close that sometimes people ask us if we’re actually one person. “We do have times when we’re apart but then we’re always texting or face timing each other. Women told she was too fat for IVF loses nine stone to have a dream baby!